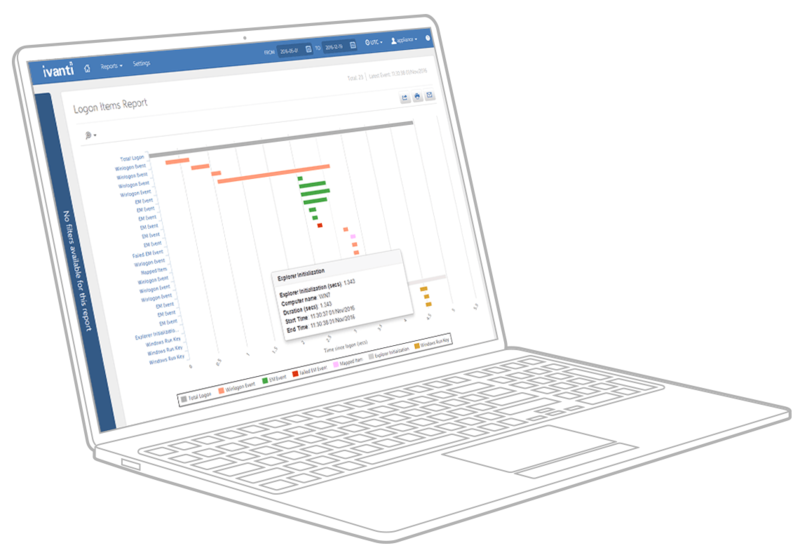 Insight (powered by AppSense) Unprecedented visibility into endpoints and user behavior, so you can make informed decisions. Here are six compelling reasons why it's important to get user experience right. Collect desktop data over time. And then see it. Learn how to get the best return from Performance Manager. Ivanti Insight, powered by AppSense, helps IT identify desktop issues before they become serious problems. It tracks critical KPIs like logon times, user profile size and application, CPU, and memory usage, so IT can make informed decisions that optimize desktop environments and reduce desktop management costs. Insight also helps IT reduce risk by identifying users with full administrative rights and alerting IT to suspicious behavior on endpoints. IT teams also leverage Insight to deliver a great user experience to improve employee productivity. With Insight, we had hard data about problems we knew about—and problems we had no idea existed. 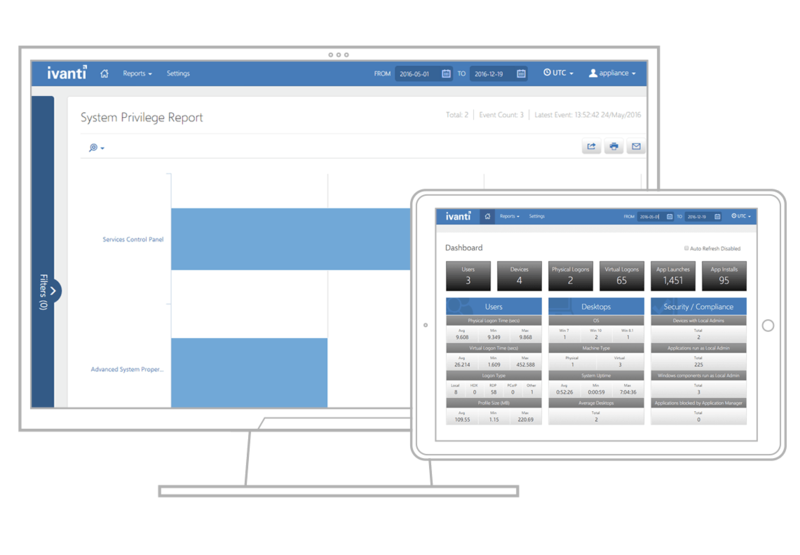 With Insight, you turn data into powerful knowledge that helps you to dissolve productivity blocks and measure improvement, so you can demonstrate cost savings over time. Detect challenges that negatively affect user experience, like long logon times and bloated profiles. Analyze elements contributing to endpoint issues, like that group policy object (GPO) that slows a user logon or those scripts that keep failing. Benchmark and evaluate how IT changes optimize your endpoint environment, reduce costs, and improve productivity. Quick access to key metrics. Insight delivers detailed visibility into endpoint and user behavior, so you can fix problems at the source. Once problems are solved, use Insight to measure improvement and demonstrate IT value.